In the days since the death of little Alfie Evans in the UK, there has been well-deserved outrage from people all over the world who don’t understand why more was not done to save the little boy. Blame has been focused, and rightly so, on a system of government-run healthcare in Britain where parents were denied the right to make decisions for their child time and time again. Now, however, attention is being directed at another body with significant influence in Europe. In the aftermath of Alfie’s death, you’ll be shocked at who is now coming under fire. Andrea Williams, the chief executive of the Christian Legal Centre, which is representing Alfie’s father, told CBN News that Christian people across the globe rallied around the courageous toddler and his steadfast parents, but she said that wasn’t the case with the Church in the UK. While Pope Francis remained steadfast in his fight to help the Evans family keep Alfie alive, many in Europe are saying the hierarchy of the Catholic Church, as well as the Church of England, did not do enough. Father Gabriele Brusco, an Italian priest stationed in London, had been keeping a post at Alder Hey Children’s Hospital, praying with the Evans family and administering sacraments. While at the hospital, Father Brusco apparently confronted the staff who was caring for Alfie, saying they would face judgment for their sin of preventing further care for the child. This situation led to local church leaders meeting with the pope to have Father Brusco recalled back to London. He was removed as the Evans’ family spiritual support prior to Alfie’s death. Devout British Christians — those of Catholic, Anglican, and other backgrounds – believe the clergy should have done more to intervene. While Pope Francis worked to bring Alfie to Italy to continue treatment, British citizens are expressing concern that other members of the clergy were resigned to Alfie’s death and siding with the hospital. Nichols said the staff at Alder Hey were “hurt” by these accusations, and the cardinal noted that many of the doctors and nurses caring for Alfie were Catholic. These comments seemed to side with the hospital and the British government and sent shockwaves through British congregations, infuriating many who thought members of the Church hierarchy should not be praising a system that barred the rights of parents in the care of their child. Your Excellencies: Though I can understand the desire to strike a conciliatory tone when both the stakes and emotions are running high, it is a gross understatement to call the wording of your declaration on the Alfie Evans case unfortunate, particularly given the emphasis on the apparent “integrity” of the medical staff and administrators of Alder Hey hospital. A hospital that acts as a jail, imprisoning a child against his parents’ wishes and better judgement does not act with integrity…A hospital that refuses to call into question its (possible, if not likely, mis-) diagnosis does not act with integrity. A hospital that refuses to hydrate or feed a child does not act with integrity. More importantly — and worse than the unfortunate choice of words used in your declaration — is its abject failure to address the heart of the matter: the privileged link between children and their parents as their God-given custodians. Emotions are still extremely high as the world reacts to an innocent child losing his life because a tyrannical government did not want him to live. While blame may lie on many fronts, Catholics and other Christian congregations in the UK are outraged and heartbroken that some of their leaders may be taking a conciliatory approach that backs a political agenda. “I think it’s a reality generally for the Church in the West and firstly, in the United Kingdom that we are mute,” she continued. “We don’t know how, when to speak. And we’ve become silent. We’ve allowed ourselves to be silenced. And this is tragic, and it’s tragic in a case such as Alfie’s,” Williams said. One thing is clear, however – Alfie’s supporters are grieving and will not forget the government interference that prevented him a longer life, nor what the fight has taught them. Alfie Evans will remain a symbol of hope and the sanctity of life – and what happens when those in authority place themselves ahead of parents and God Himself. What do you think of the blame European Christians are putting on Church leadership? 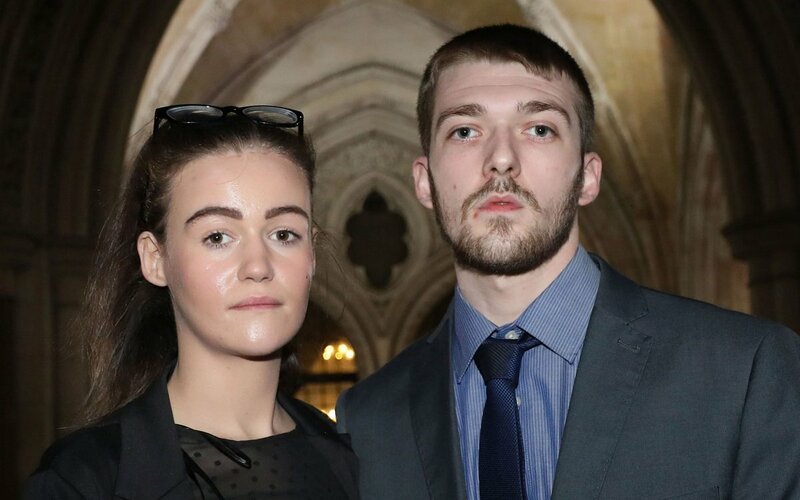 Do you believe they should have done more to intervene in the UK government’s role in Alfie Evans’ death? Leave us your thoughts.